Begin your day by registering from 9:00 – 9:45 a.m. with morning refreshments courtesy of the Oklahoma OHCE. The day’s activities will end at 1:00 p.m. with drawings for Grand Prize’s. Come early and enjoy it ALL! The Elder Fair has always been a successful event for our community, and we are sure you will want to be a part of the upcoming “Boot, Scoot ‘in and Boogying into Our Golden Years” 2018 Elder Fair. This event is free of charge with lunch provided at NOON, courtesy of Beaver County Nursing Home. The day’s events will include speakers, entertainment, information booths/displays, door prizes and give-a-ways. This will be an exciting opportunity for senior citizens and caregivers of the area to learn more about services available to them. It will be a day filled of fun, food and fellowship. We are excited to be able to provide this service to our seniors and caregivers! We know that senior citizens of this area have responded well in the past, and we hope even more plan to attend again this year. The Elder Fair is a project of Beaver County Nursing Home, Beaver County Interagency and Beaver County Memorial Hospital whose vision has been to provide a service to the senior citizens and caregivers of Beaver County and the surrounding area that would not otherwise be available to them. As with all community activities, there are costs involved. 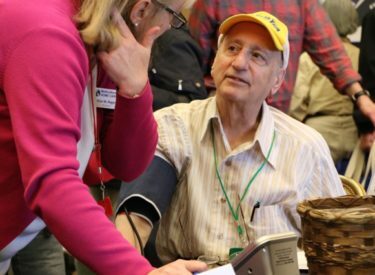 The Elder Fair is a service project that consists of various services, agencies and organizations who come together to network and work toward the betterment, health and wellness of senior citizens. We have always depended solely on the kind generous support of our community and the area merchants and businesses to be able to provide this event. Thank you very much for your continued support. For more information, please contact: Misti Bohl at 580 – 625-4571 or any other Elder Fair Committee member.